At least 24 studies have looked at the role of milk in the development of prostate cancer. Twenty of these studies have found a positive association. On average, the studies reveal about a doubling of risk for prostate cancer in general, and up to a 4-fold increased risk for metastatic prostate cancer, the deadly form, in those men who drink the most milk compared to those who drink the least. Have You Been Left in the Dark? Last year, the American Urological Association (AUA) announced a dramatic shift in its stance on screening for prostate cancer using the prostate-specific antigen (PSA) blood test. The AUA decided to stop recommending the test for men aged 40 to 54 years and over 70. This follows the United States Preventive Services Task Force, which one year earlier, advised against routine screening for prostate cancer entirely because studies indicate more men are harmed by unwarranted biopsies or treatments indicated by PSA results than were lives saved. Because public health awareness campaigns in the US tend to emphasize detection strategies, such as mammograms, PSA tests, and colonoscopies, rather than promote risk reduction strategies, many men may wonder what, if anything, they should be doing. Prostate cancer is the most common cancer in American men. According to the American Cancer Society, this year 300,000 American men will receive a prostate cancer diagnosis, and during their lifetime, 1 in 6 will be told they have the disease. The scientific community knows more about potential risks for prostate cancer than the pubic health campaigns inform us, so consequently, fewer men are making lifestyle choices that may help reduce their risk. For example, for years scientific studies have shown that men who consume lots of red meat, especially grilled meat and meat cooked at high temperature, are at elevated risk of prostate cancer. This may be due to the polyaromatic hydrocarbons (PAHs) and heterocyclic amines (HCAs) that form when meat is cooked at high temperature over an open flame, smoked or charred. HCAs are a known carcinogen, and PHAs both initiate tumors and promote their progression. (2) The risk may also be related to chemical contaminants, such as dioxin, known to concentrate in meat. While there are numerous benefits from regular exercise, at least sixteen studies have shown that men who exercise the most compared to those who exercise little, or are sedentary, experience a significant reduction in risk of prostate cancer. A 2011 Harvard – UC San Francisco joint study found a 61% reduction in risk in men who exercised most vigorously. A 2013 Veterans Affairs study published in the journal Cancer found a 53% reduction in risk of prostate cancer in those men who exercised the most. Does Milk Play a Role? While nobody should be surprised when studies indicate exercise is protective, it may be surprising to learn about the connection between milk consumption and risk of prostate cancer. Since the association found in the studies is consistent in those drinking full-fat, low-fat, and skim milk, researchers have turned their attention to another potential culprit called insulin-like growth factor 1 (IGF-1). Several studies have shown that those with the highest blood levels of IGF-1 are at substantially higher risk for breast, colon and prostate cancer. For example, a Harvard University study of 14,916 male physicians found that men with the highest IGF-1 levels had more than four times the risk of prostate cancer compared to men with the lowest IGF-1 levels. Levels of IGF-1 in our body are naturally highest at the time of puberty, after which levels taper off. IGF-1 has certain characteristics that make it an ideal promoter of the cancer cascade. First, it is a mitogen, which means it stimulates cell multiplication. It also promotes malignancy in cells. It is required for the formation of tumors, and it promotes metastasis, the process whereby cancer cells spread to other parts of the body. Finally, IGF-1 inhibits apoptosis, a process used by the body to, among other things, eliminate cells that can initiate a tumor. Collectively, these characteristics make IGF-1 a potent enabler of cancer. Where Does IGF-1 Come From? While our body produces IGF-1, the primary source of IGF-1 from outside the body is cow’s milk. Cows produce the same IGF-1 as humans and they express it in their milk. When we drink the milk our own IGF-1 levels go up. 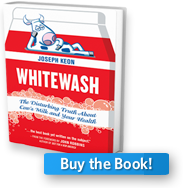 Since no human needs the milk of another species in order to be healthy, it may be that men are unnecessarily placing themselves at heightened risk for prostate cancer by drinking cow’s milk, and thereby raising their IGF-1 levels. The good news is that as we reduce or eliminate milk, a practical strategy anyone can take, our IGF-1 levels will go down, and according to research findings, so may our risk of disease. Since meat consumption has also been shown to pose a risk, it should be curtailed or eliminated entirely. Finally, the risk reduction potential from exercise is simply too great to be ignored, so a regular exercise routine should be part of any man’s prostate cancer prevention plan. 1. Sakr W, et al., “The frequency of carcinoma and intraepithelial neoplasia of the prostate in young male patients,” Journal of Urology 150 (1993):379-385. 2. M. Freitas, et al., “Polycyclic Aromatic Hydrocarbons May Contribute for Prostate Cancer Progression,” Journal of Cancer Therapy, 4 (2013):37-46.